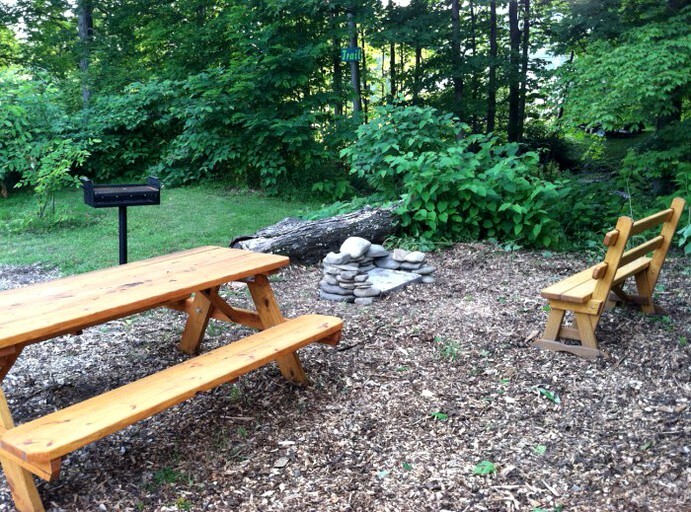 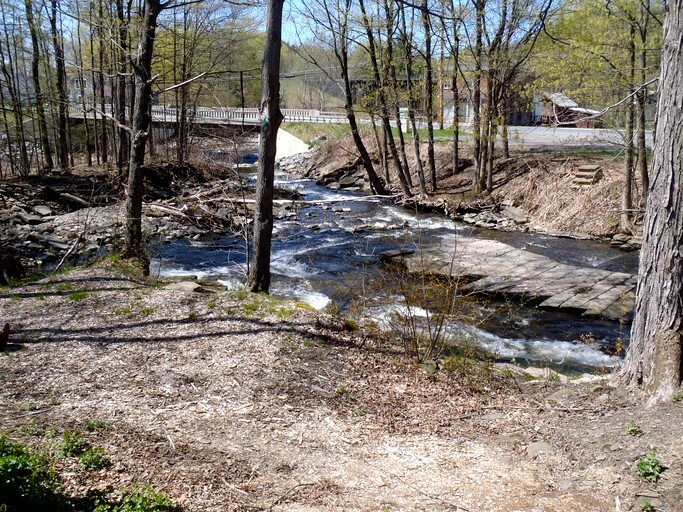 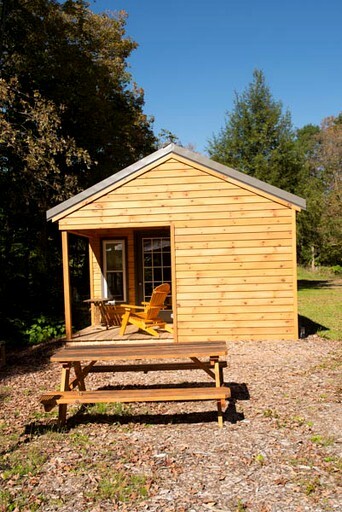 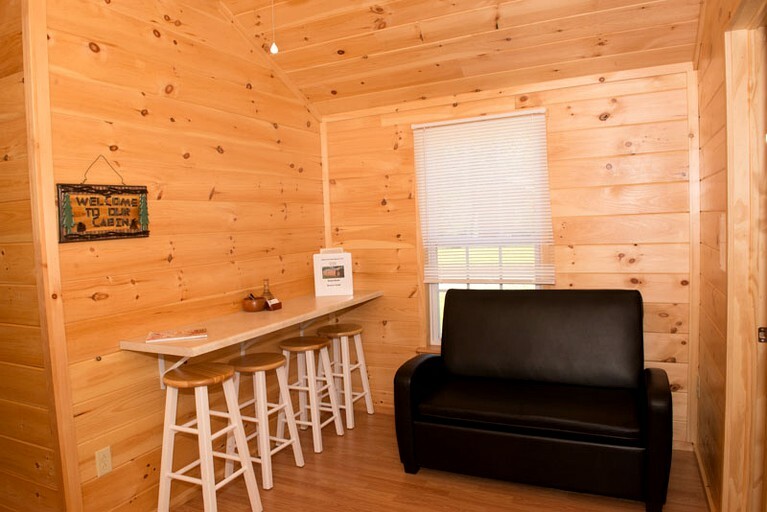 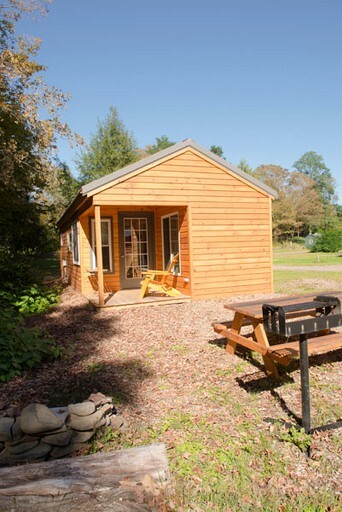 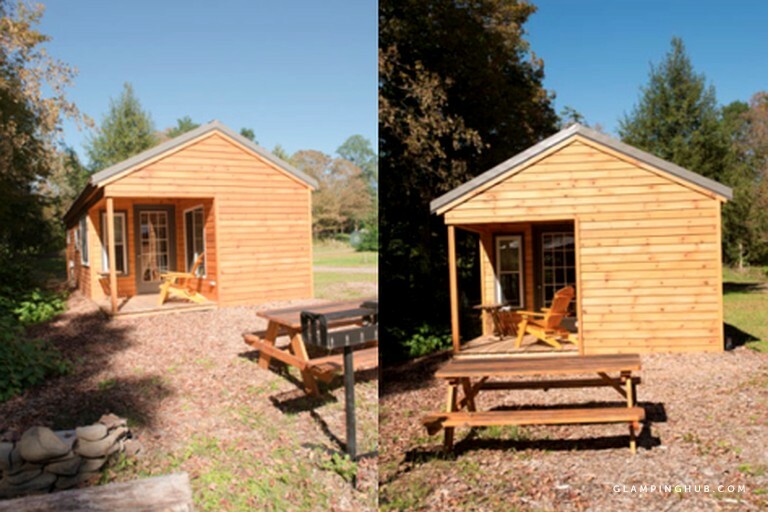 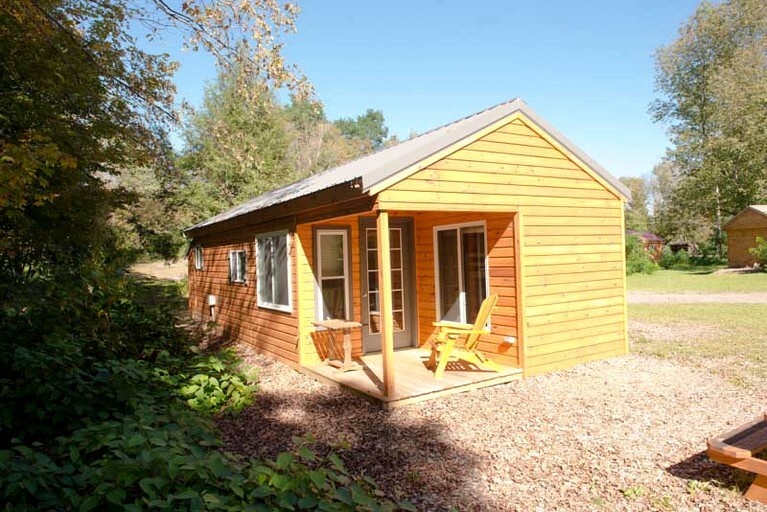 This cabin rental is nestled in the woods near Albany in New York and is perfect for a family or group vacation. 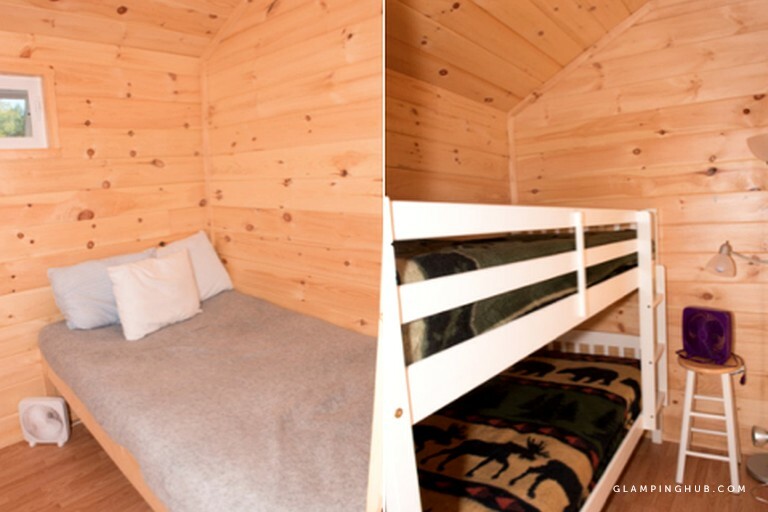 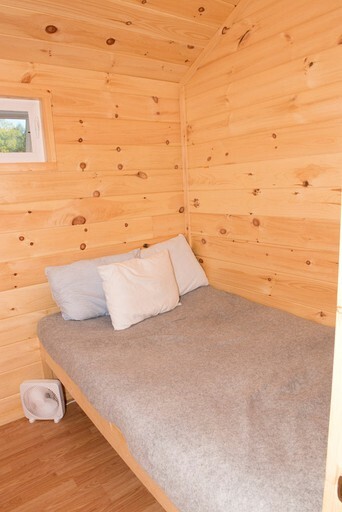 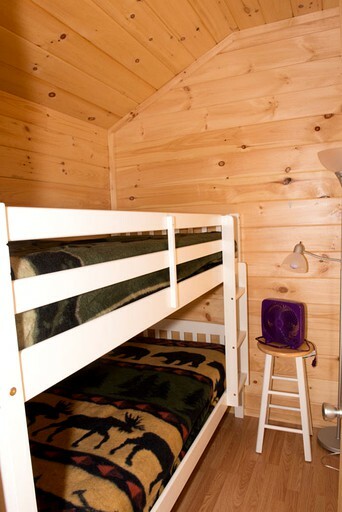 There are two bedrooms in this cabin rental, one of which has a full-size bed and the other has a twin-size bunk bed. 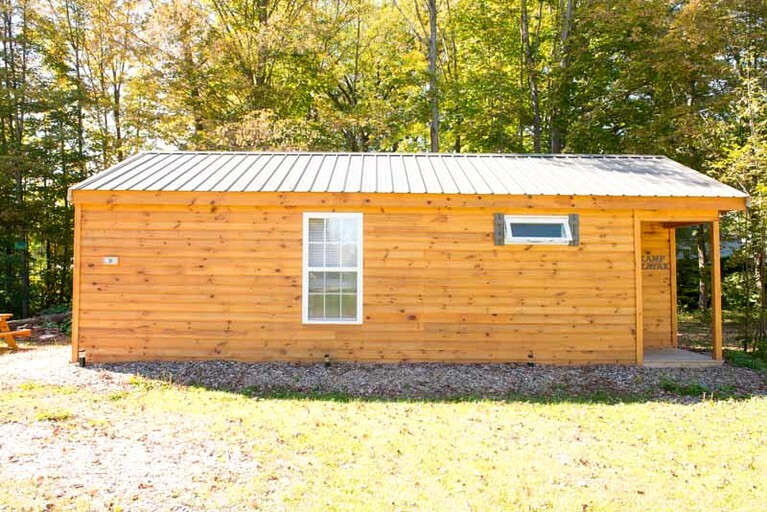 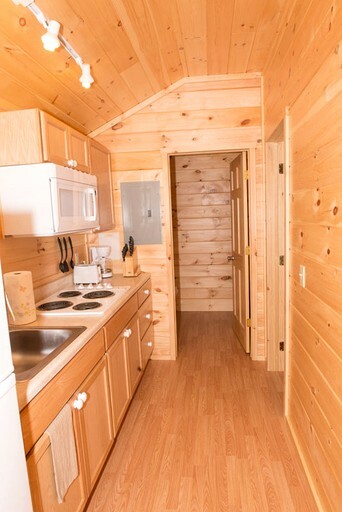 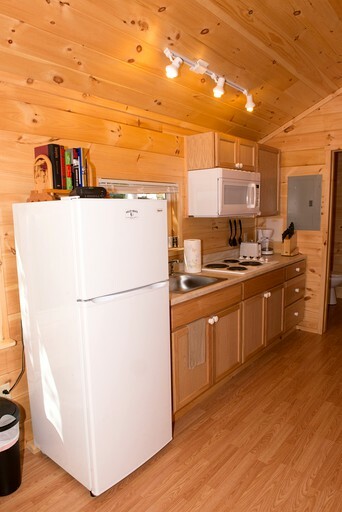 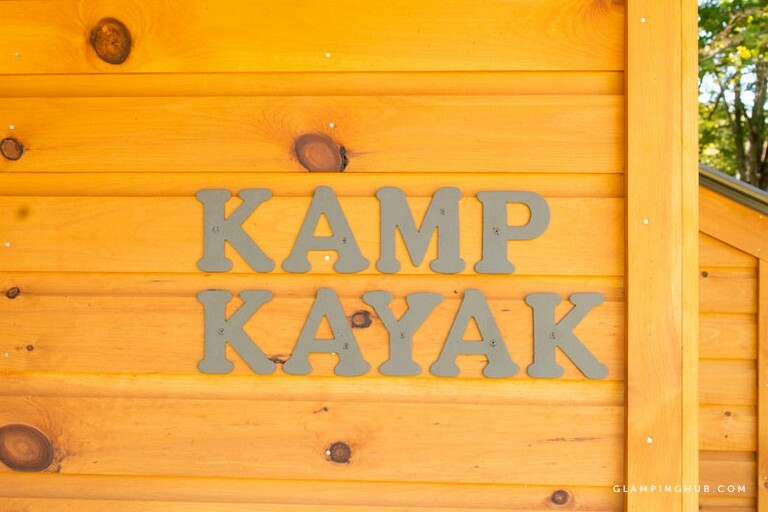 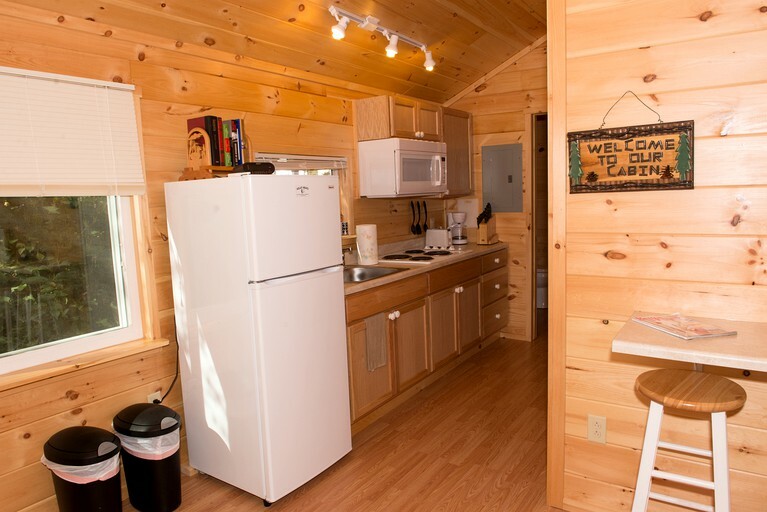 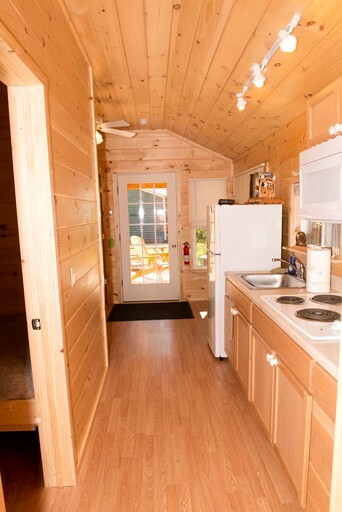 The open plan living room and kitchen, has a breakfast bar with stools, a loveseat futon that has a pullout twin bed, a stove top, a toaster, a coffee maker, and a sink, however, this cabin does not have an oven. 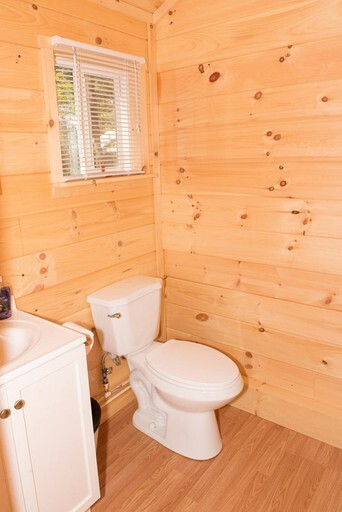 The bathroom features a toilet, a sink, a vanity, and a shower.